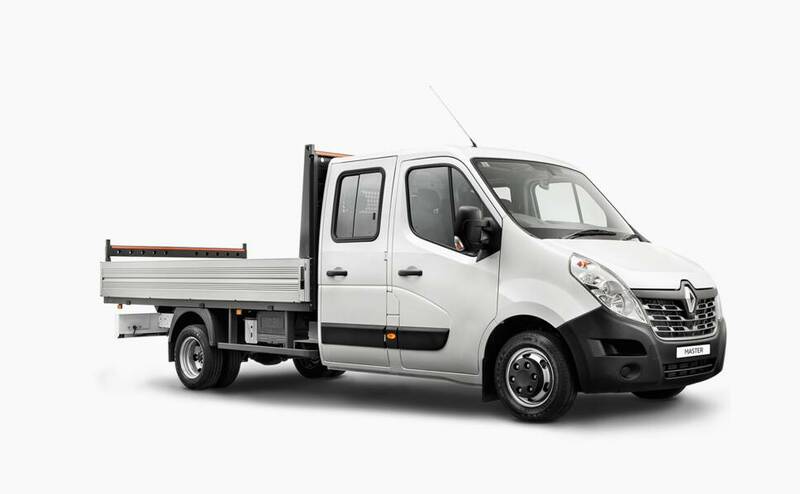 Featuring 3.78m of length and 1884kg load capacity, the optional Renault Master Dual Cab Chassis factory fitted tray offers the flexibility to suit any job. Transport more passengers with comfort and ease thanks to the Dual Cab's generous 7-seater cabin. Gear changes are a breeze with the choice of either a smooth shifting 6-speed manual or automated transmission. Cruise control helps take the hard work out of long hours on the road while the speed limiter helps you avoid any nasty fines. Take your office on the road thanks to a feature-packed cabin including Bluetooth® phone pairing and air conditioning. Fit more in with loads of interior cabin storage including A4 dash, under seat and overhead storage spaces along with 6 cup holders and drink bottle door holders. Enjoy complete peace of mind thanks to Renault's 3 years or 200,000km warranty featuring 3 years Roadside Assist and 3 Services Capped Price Servicing. A roomy and clever cabin boasts a 7-seat configuration and plenty of storage. 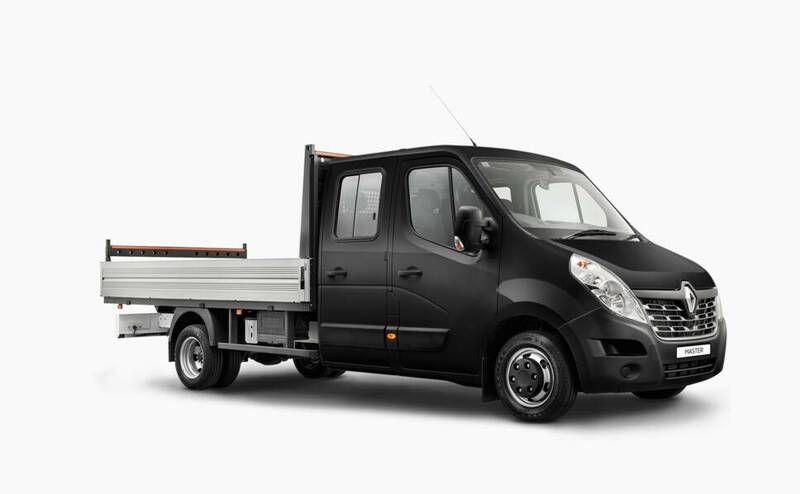 Want a car-like drive but a commercial payload? 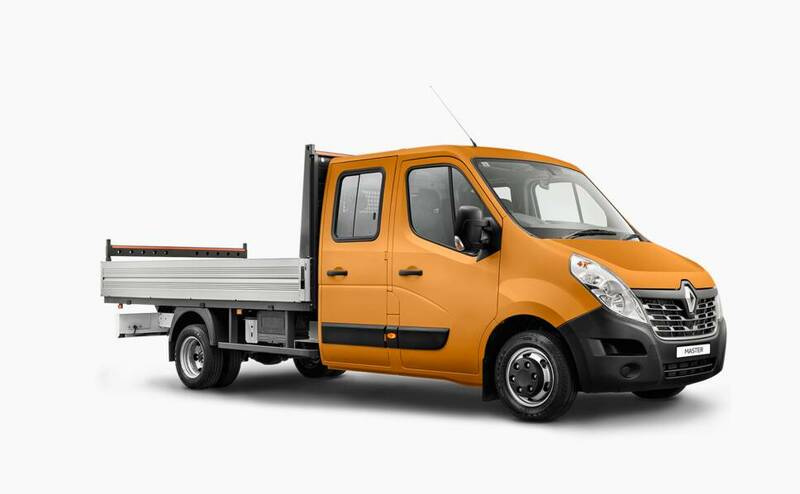 Renault's Master Single Cab cab/chassis makes good sense. The Renault Master Cab Chassis is half ute, half van. It's a little more nimble than a light truck and yet it's a bit less comfortable than some of the better workhorse utes. 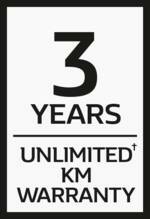 †Warranty valid for 3 years or 200,000km (whichever comes first) for new and demonstrator Master models. Roadside Assistance terms and conditions apply. Call our Customer Service Team on 1800 009 008 or view the Terms and Conditions statement at www.renault.com.au/drivingpeaceofmind for detail. ^First 3 scheduled maintenance services capped at $599 per service on MASTER, based on standard scheduled servicing from new and on normal operating conditions. Scheduled maintenance services required every twelve (12) months or up to 30,000km (whichever occurs first) and are also subject to adaptive servicing requirements, as determined by the Oil Condition Sensor and may require servicing prior to the standard 12 months or 30,000km service interval. If vehicle is not presented within three (3) months of when the scheduled service is required, right to that capped-price service under the program is forfeited. Additional service items not included in capped price.